Do you feel magic? 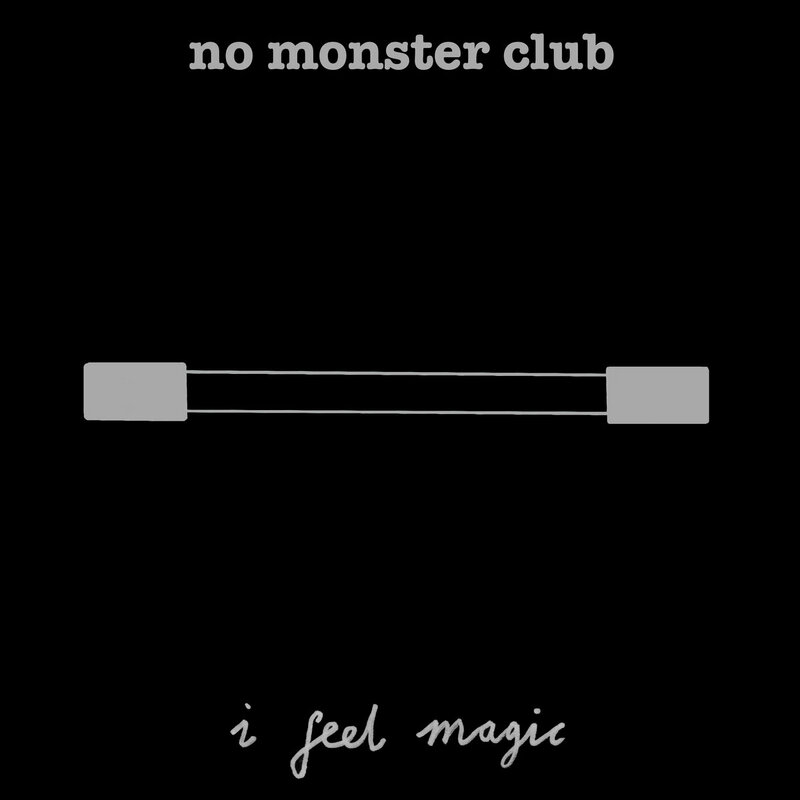 Bobby Aherne of Dublin's No Monster Club feels magic. So much so that his new album proclaims I Feel Magic. And how is this magic manifested? Upbeat melodies, delightfully off kilter touches, show tune flourishes, wacky stories, good humor, and all of it packed with sonic details and colored in bright, tropical-pop tones. Trying to isolate elements is like walking into a child's playroom filled with toy chests, drawers, and cabinets. You open the containers finding one interesting artifact after another, showing the multifaceted interests of the (obviously wealthy and completely spoiled, but I digress) child. But the genius of Mr. Aherne is that he puts it all together so adroitly that the finished songs virtually defy genre classification. On "Sion" Aherne sings "I hadn't thought I'd be having so much fun...", and while it is modified by "that night" and relates to a performance at a sparsely attended gig, it is a wholly believable summation of the entire album. Because the sense I get listening to I Feel Magic is that perhaps no one in indie pop music had more fun than Bobby in making his album. And the result is that it is hard to imagine having more fun listening to an album. I Feel Magic is out today via Popical Island in digital and CD formats and Already Dead Tapes & Records as a cassette. I was disappointed when New York's Crystal Stilts faded from the scene a couple of years ago. 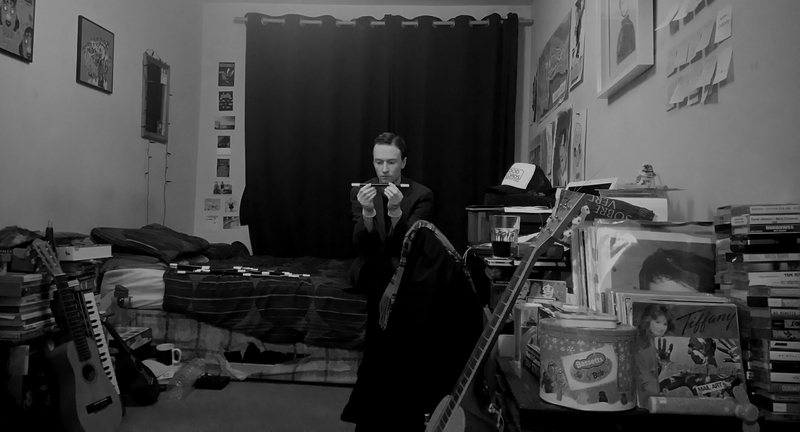 But there is new hope for us fans, as member Kyle Forester has a solo album scheduled for release on Flying Moonlight Records on May 20. Kyle also is a member of Ladybug Transistor. Check out album track "Won't Go Crazy" below. Acoustic guitar and synths provide a more pop feel than the denser sound of the Stilts, but it is a very engaging tune and I look forward to the album. As the press has noted quite a bit lately, citrus has bountiful health benefits. Daily doses are recommended for all who care about being healthy. We're here to note an alternative way to bring extra citrus in your life - Tangerine. A modest investment (as noted at the Bandcamp link below) will bring you an endlessly refilled supply of Tangerine's latest product, the four-song Sugar Teeth EP. The record kicks off with the crunchy rocker "Tender". Next is standout "Sunset", which artfully meshes the abandon of slacker pop with the sharp hooks of chart pop. "Wild Heart" swaggers down the narrow path between the two in a fashion that would do The Strokes proud. After three stylishly up-tempo songs, the EP closes with the title track, a delicate, shimmering gem that underscores the trio's depth and vision. Citrusy Tangerine -- it will make you happy, and happy makes you healthy. And not to offend, but a bit of dancing wouldn't hurt you in the least. Consisting of sisters Marika (vocals/guitar/keys) and Miro Justad (drums) and Toby Kuhn (lead guitar), veterans of other bands, Tangerine was formed in 2013. Sugar Teeth EP is out February 19, but can be pre-ordered now. I've been among the fans of Flowers since I first heard and featured some of their demos a few years ago. For their part, the London trio has rewarded us by getting even better on each outing. And the proof is their new LP Everybody's Dying To Meet You. Replete with soaring pop songs adorned with arrangements that are full, but not weighty, and deliver the perfect amount of reverb, fuzz and crunch to complement the jangle and hooks. I expected a good album, but I think we got much more than that. The combination of guitar, bass and drums evokes, without imitating, such worthies as Pains Of Being Pure At Heart, Galaxie 500, Shop Assistants, Black Tambourine, and Cocteau Twins. The songwriting has caught up with the promise of earlier recordings, and all the performances show increased confidence. But what takes Flowers from "good band, isn't it?" to "shut up and listen to this" is Rachel's voice. Impossibly high and clear as a bell, it is arresting, captivating, soothing and, to my ears, seductive. Whether riding the uptempo noise pop or filling in the colors on a slow song, Rachel's vocal are memorable and affecting. This is noise pop the way it should be played -- the Flowers are blooming early for Spring. Everybody's Dying To Meet You is out now via Fortuna POP! in the UK and Kanine Records in the US. Flowers are Rachel Kenedy (vocals/bass), Sam Ayres (guitar), and Jordan Hockley (drums).